By Ashutosh KS in Internet. Updated on December 21, 2018 . To know when a website changes its content, you have to go to that website and check it frequently and manually. This doesn’t sound like much work, unless it comes to an e-commerce site or a news website where web content changes happen quickly and suddenly. In such a case, you should leave it to web content monitoring tools. 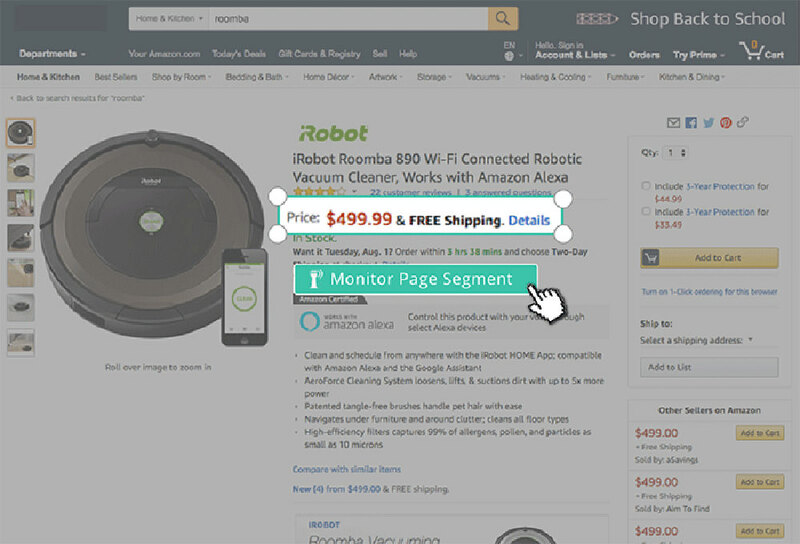 Like price tracking tools that help you shop wiser, content monitoring tools help you track and monitor changes on any website under consideration so you can take immediate actions as you like. For this purpose, here are 5 of the best content monitoring tools that notify you of any changes in your favorite pages without having to access them frequently. Let’s take a look. Surprisingly, you can also monitor specific parts of a web page or a site with sub-pages. 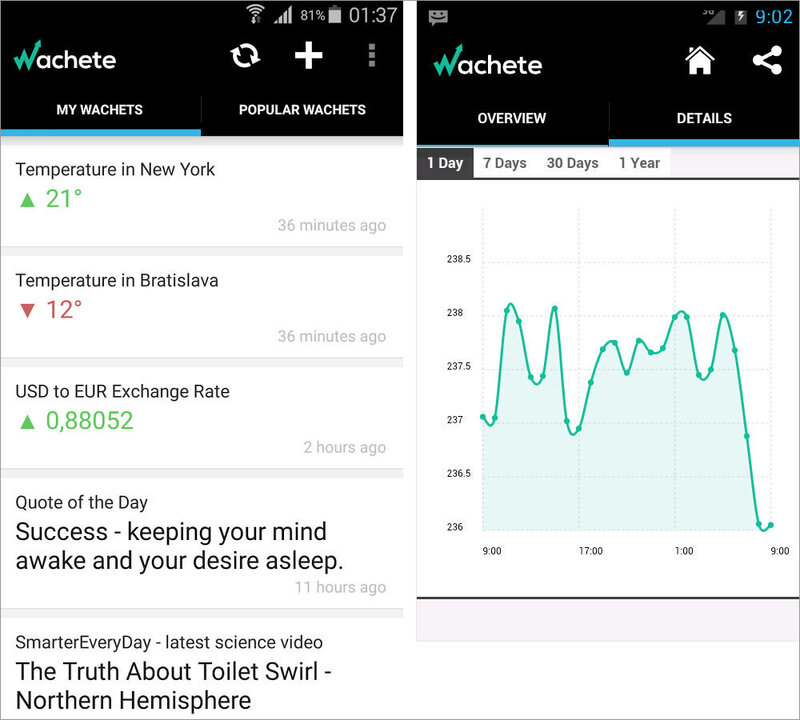 Wachete sends instant or summary notifications (per your preference) over email and notifies about changes via its mobile app too. It collects and stores web content along with change history for up to six months, allowing you to track old pages or changes when required. You can freely monitor five pages, which suffices everyday users who wish to track product prices and job offers. You can also track the availability of a site, and download all the data as a spreadsheet. What I like most is its set of REST APIs as well as its feature to create an RSS feed from the content of a page, like a feed of your wishlist products. If you want to track an exact information, OnWebChange can do it as simply as possible. Though it is not as powerful as Wachete but some of its features even outstands the latter. 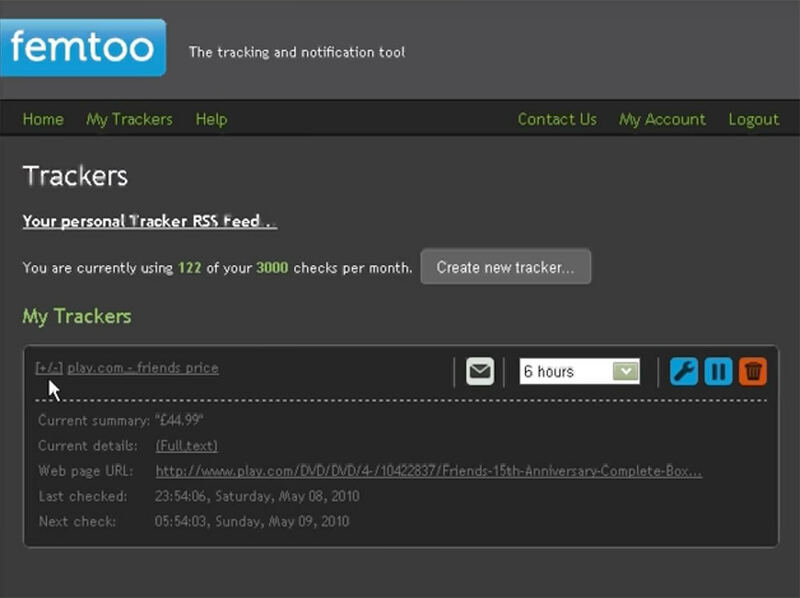 What got me stuck is its public tracker feature that lets you place a button on your site that helps your visitors track any page on your website. Additionally, you use its ‘Change Report’ feature to share a public tracker with friends and coworkers and help you track changes conjointly. OnWebChange tracks change for various types of content like images, documents, PDFs, etc. Another surprising feature is it creates an RSS feed to help you track the changes, unlike that of Wachete. It allows three trackers for free and features multi-language support and powerful change detection system with lots of customizable options. It can send mobile or email notifications in single or digested form per your preference. Moreover, it sends emails to multiple persons, creates an email distribution list, and even notifies URL ‘Callback’, surprisingly. Using ChangeTower, you can monitor three addresses for free. It is a cloud-based, easily accessible tool that is capable of monitoring visual changes. You can track code updates, keywords and code changes, and visual changes made on a webpage. That said, it helps automate your research work. What I like is that one can also check a site’s availability and receive alerts on configured conditions. ChangeTower can notify you, or your team using real-time email notifications and allows you to see notifications stream and check out detections. Also, you can check the changed data of three months in for free, and even export it to a spreadsheet. Another interesting feature is it sends you detailed report of content, snapshot, and HTML changes, helping you to easily understand the changes. Some of its use cases include monitoring key compliance requirements, legal and corporate compliance info, or content (like product prices) on any website including that of your competitors. If you are searching for a free, easy to use content monitoring tool for the web, then Visualping is just for you. Amazingly, you can receive notifications with screenshots of the change you are tracking – big or small. These can be received every hour, day, week, or month to an email address or a Slack channel, unlike ChangeTower. What got my interest is it detects visual changes too, like ChangeTower. Its Chrome app can be set to track pages and send alerts about anything that matters to you. Having said that, you can easily monitor content changes and automate research tasks like monitoring special prices, discounts, job offers, search page rankings, news feeds, etc. With Visualping you can select to monitor a page using visual-mode or web-mode. Moreover, you can choose to use a proxy for monitoring the page, and even use its blocker feature to block any obstructive ads, newsletter signup pop-ups, etc. You can easily get alerts for changes to sites using Versionista. It offers five monitors in its free account, which is enough to try it out. Though it is not as eye-catching as ChangeTower or Visualping yet it packs powerful features. It easily compares differences between a site’s multiple versions and stores version history for you. Interestingly, you can get instant alerts and email summaries of content changes and view detailed change data to track added or removed text content, links, or assets. What I like more is its comparison viewer that shows changes side-by-side for a website. Moreover, its advanced set of filters allow you avoid unwanted notifications. You can configure the tool to crawl sites per needed frequency from the required location. Versionista lets you categorize pages for easy management and workflow and track details of every change or version monitored by the tool. Its dashboard is expandable, filterable, and sortable to show just a partial list of pages with their recent changes.